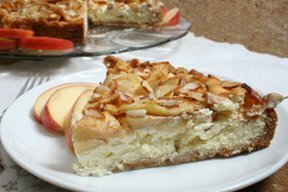 The combination of the creamy smooth filling and apple topping make this a perfect fall apple dessert. This delicious, easy-to-prepare cheesecake recipe will have everyone begging for seconds. A great way to use some of the many tasty fall apple varieties. Let us show you how to make delicious homemade apple butter to enjoy throughout the year. See how to salt eggplants to remove some of the moisture. Salting will help decrease the amount of oil that will be absorbed when cooking eggplants.